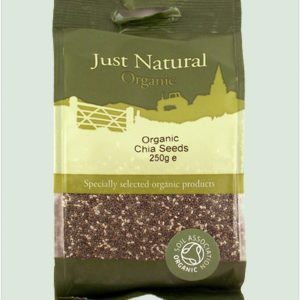 Just Natural Organic Chia Seeds 250g. Just Natural Organic Chia Seeds and a good source of protein, calcium, fiber, magnesium and phosphorus, as well as being loaded with antioxidants. 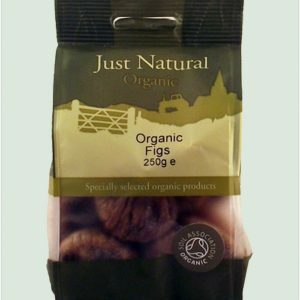 Just Natural Organic Figs 250g. Just Natural Organic Figs are a great source of fiber, are full of vitamins and minerals, and provide a good source of calcium and vitamin C. Figs are bursting with energy and flavour, and have been well documented for their many health benefits. High in fiber Source of vitamins and minerals May reduce cholesterol Rich in calcium Provide a feeling of fullness Just Natural figs are also a good source of potassium, vitamin A, and are rich in beta-carotene, making them one of the more popular snacks from the Just Natural range. 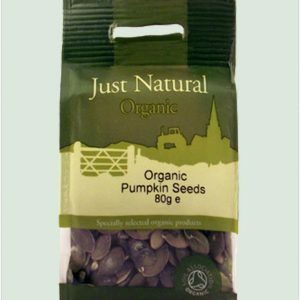 Just Natural Organic Pumpkin Seed 80g. Just Natural Organic Pumpkin seeds contain a variety of nutrients ranging from magnesium to zinc, making them a highly popular tasty snack. Just Natural Pumpkin Seeds are also rich in healthy fats, antioxidants and fibers, and may provide extra benefits for heart and liver health. Pumpkin seeds have long been valued as a special source of the mineral zinc, and the World Health Organization recommends their consumption as a good way of obtaining this nutrient. Great source of Zinc and Magnesium Rich in natural phytoestrogens Contains healthy fats Antioxidant Good source of iron and copper Just Natural Organic Pumpkin Seeds have many culinary uses and can be added to granola, biscuits, bread, salads, and are also frequently added to rice and sauces. 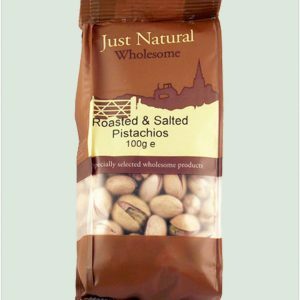 Just Natural Pistachios Roasted & Salted 100g. 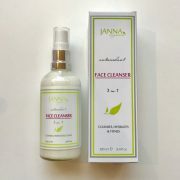 Just Natural premium quality ingredients are carefully selected to ensure you receive the highest quality produce available. 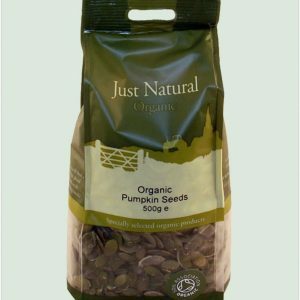 Just Natural Pumpkin Seeds 500g. Just Natural Pumpkin seeds contain a variety of nutrients ranging from magnesium to zinc, making them a highly popular tasty snack. Just Natural Pumpkin Seeds are also rich in healthy fats, antioxidants and fibers, and may provide extra benefits for heart and liver health. Pumpkin seeds have long been valued as a special source of the mineral zinc, and the World Health Organization recommends their consumption as a good way of obtaining this nutrient. Great source of Zinc and Magnesium Rich in natural phytoestrogens Contains healthy fats Antioxidant Good source of iron and copper Just Natural Pumpkin Seeds have many culinary uses and can be added to granola, biscuits, bread, salads, and are also frequently added to rice and sauces. 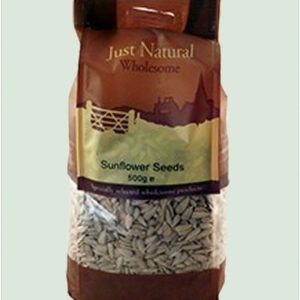 Just Natural Sunflower Seeds 500g. Just Natural sunflower seeds are a dense source of vitamins, minerals, and essential oils. 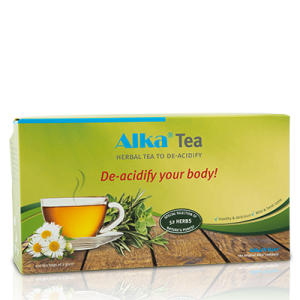 They help control cell damage, are a good source of selenium, and contain bone health minerals. Just Natural sweet, nutty sunflower seeds are a great source of protein and they're loaded with amino acids. Contain essential minerals A natural antioxidant Promotes cardiovascular health Rich source of Magnesium Try sprinkling Just Natural sunflower seeds over fried-rice dishes, add to salad dishes, or use in cakes and muffins.